As a middle aged woman one of the things I feel I really fall short on is taking care of my aging skin. After years of treating it not so well by sun exposure, smoking and not using good skin care, or any for that matter, time is catching up with me. 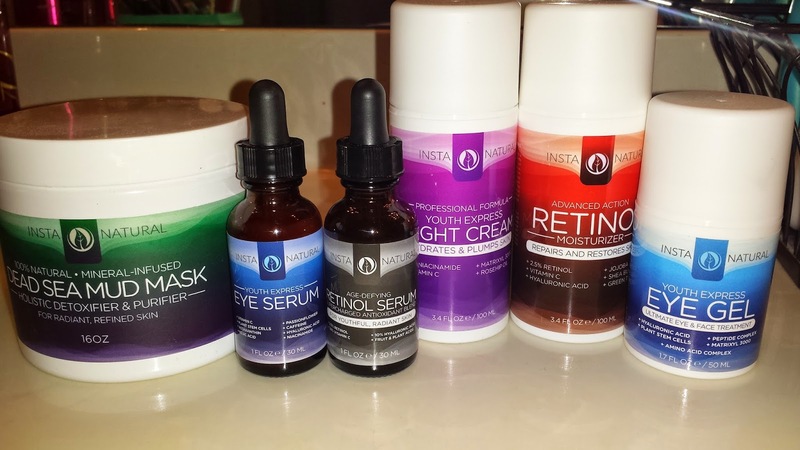 So when Brandbacker asked me to review some skin care products form the Insta Naturals line how could I say no? Old ladies need all the help we can get! 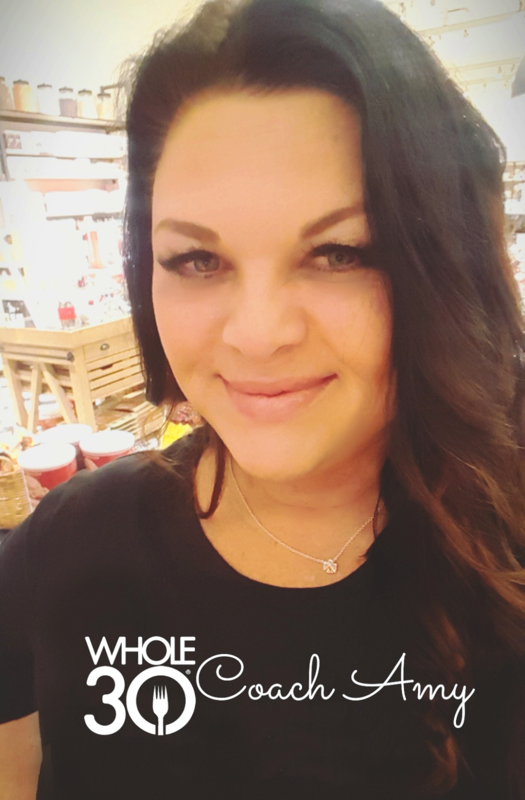 Additionally all of the products are natural ingredients, keeping with my New Year's resolve to get a little healthier by eliminating chemicals and processed things from my daily life as much as possible. So I have been using a few of their products and I am really enjoying all of them. Like many busy women I suffer from some under eye darkness and puffiness. 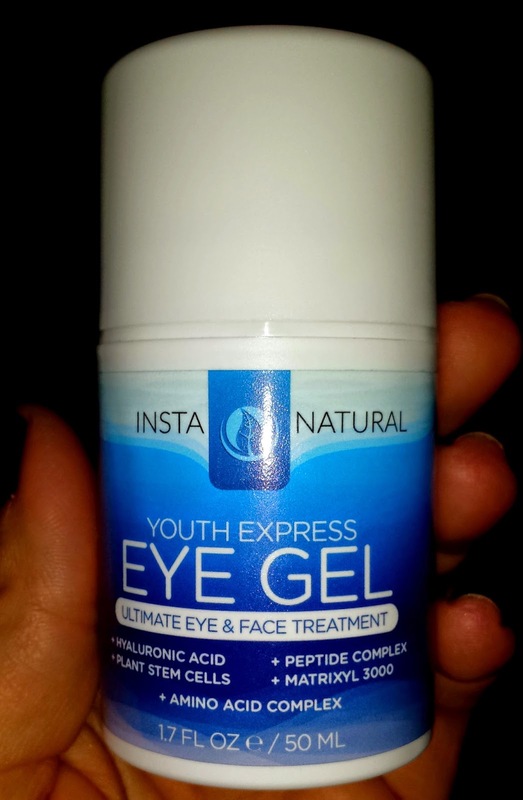 The Youth Express Eye Gel has given me some good results. First of all it smells great. It is very light and almost has faint floral or fresh plant like scent. It goes on smoothly and soaks in and dries quickly, not tacky or sticky, enabling you to move right on to the next step in your beauty regimen. I have noticed that the puffiness seems to decrease with regular use. It hasn't gone totally away but an improvement is an improvement. I would definitely recommend for that alone. I also feel like it fills in some of the tiny lines and crows feet around my eyes which is always a welcome thing. Who likes crows feet??? These pics are 2 weeks ago where you can see the little puffy white pockets under my eyes, 1 week ago when they are still there but better and yesterday where you can actually see a crease under my eye when I am kind of smiling instead of a bag. Progress I think! Yes... first pic is no makeup but I wanted you to see that the bags are really there! 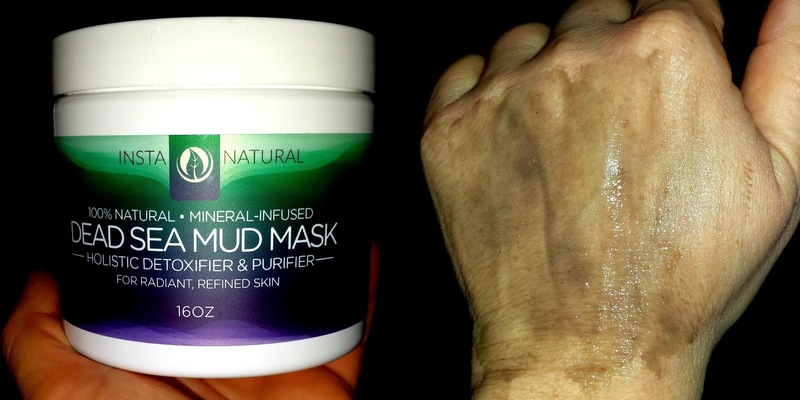 Perhaps my favorite new product from their line is the 100% Natural Mineral Infused Dead Sea Mud Mask - Holistic Detoxifier & Purifier. I love a good mask. There is something about just slathering your skin up with something healthy and letting it soak in that just seems pampering and soothing. This one is a mud mask but it doesn't dry in your face like a plaster cast you will then have to chip off. It goes on in a light, sheer coat, dries fairly quickly, about 10 minutes, and rinses off easily. It left my skin softer, smoother and looking a little brighter. They recommend once a week and I can see myself sticking with this one as a little goes a long way. They also sent me a few of their retinol serums and lotions as well as a night cream that I am also loving. They smell absolutely wonderful and I have not experienced any sort of reaction which I was always afraid of with retinol products. They definitely improve the skin tone... feels tighter already. I am particularly bad about using enough moisturizer for fear of breaking out but so far so good with all of the Insta Natural Products. I would definitely recommend giving them a try if you are looking for all natural skin care products at a reasonable price. All are available thru Amazon. Checking off the list taking better care of my skin this year! Thank you Brand Backer & Insta Naturals! That is a pretty sweet stash you got there girl! Thanks for the introduction!